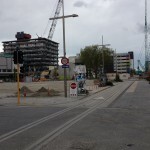 Since moving to Christchurch I have occasionally taken to the streets to take photos of the state of the rebuild. No specific methodology, just whatever catches my eye. Recently while I walking around I was taking these pictures when an older lady started talking to me. How do we speak to people who don’t value the truly public space? The non-contrived, scheming and manipulative psychology of the shopping mall? When the average person sees the city as only what can be purchased, how do we even start to discuss the value of heritage? How do we try to convince them that good design is worthwhile? This is the city I live in. Thanks Minimus, for your post, and your sentiments. 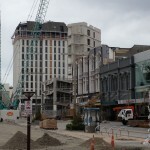 A couple of years ago, when these Cantabury earthquakes started devastating our southern soul city, and taking the crown of fear off the head of Wellington, I wrote a post called Ghost Town, and suggested that they just scrap Christchurch and start again somewhere else. 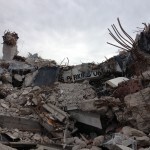 I was only part serious – but it does seem as if the city has not really ever come back to life. 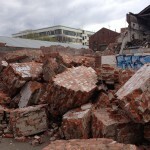 I’ve been doing some research into the rebuild on our other big quake disaster site, Napier/Hastings, and how they fared by comparison. They too are on a delta of shingle. 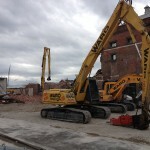 They too were razed to the ground. 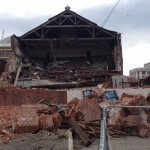 They too decided to stand and rebuild. The big difference from then to now, is one of time. In 1931, most new buildings were complete after 2-3 years. In our modern, grown up, insurance wrangling world, it’s 2 years down the track and we haven’t even started rebuilding yet. 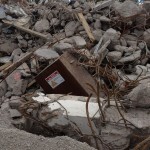 We’re still finding things to pull down, and to bicker over the remains. 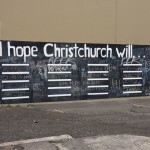 I don’t want to speak ill of the dead, but really: it’s time to put Christchurch out of it’s misery and turn off the life support isn’t it? 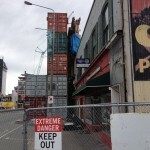 Those pictures of Christchurch look so surreal, I can’t really get to grips with it looking that way without visiting the place. Might have to do some earthquake tourism. 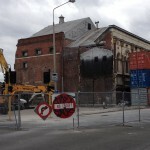 To me a lot of the most passionate people about Christchurch City are the heritage advocates. The architects seem to be just going with the flow, a cog in the wheel, maybe there’s too much business around to ruffle any feathers? I heard a radio interview with a New Zealand Athitect who seemed to be saying that the Cathedral should go and it’s time to move on. I couldn’t quite understand that, I know architects want to build new stuff, but annihilating your history in the process.. I guess we’re all held hostage to the dollar in the end, just be nice to see something good come from it. 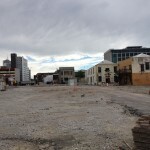 However in the hiatus, Christchurch is discovering its newly formed urban spaces. 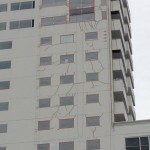 Check out the Gap Filler: http://www.gapfiller.org.nz/. 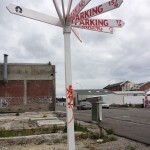 In the absence of (a lot of) its buildings, it appears that Christchurch is re-discovering one of the most important functions of a city – a network of active citizens connected through shared (urban) spaces. Gap Filler is a highly organized manifestation of this. Gap Filler is awesome! Those guys should be given knighthoods at the end of this, for their continual insertion of surrealist, situationist art installations. Talking about keeping your spirits up ! Yes, all is not doom and gloom. 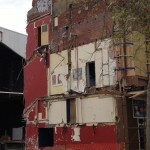 The Gap Filler projects are very good and are the highlight of living here. It is a reminder that there are groups of people (albeit small) who are willing out of the goodness of their hearts to provide delight for their fellow city dwellers. These projects are fantastic. I will endeavour to do a similar posting about them.